The verb "to be". Let´s practice! 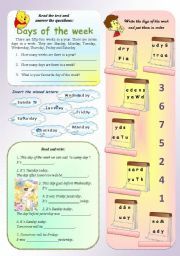 This worksheet contains a picture dictionary and three exercises to practice months of the year. Hope you like it. 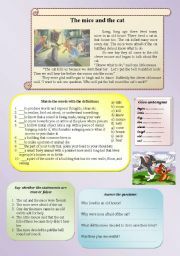 Students read the text, answer the questions and do exercises to practice vocabulary. 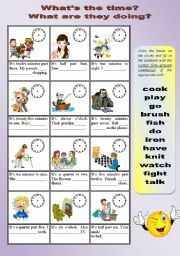 This worksheet contains four exercises with different tasks. 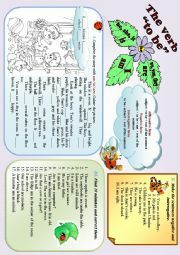 I hope it´s useful. 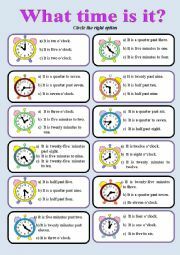 What´s the time? What are they doing? 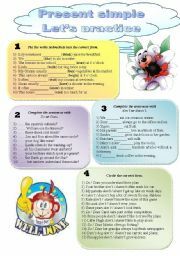 Students read the text and then do the reading tasks: saying if the statements are true or false; doing vocabulary exercises; answering questions. 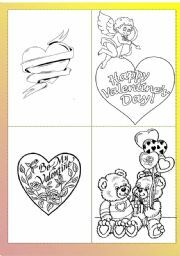 I did these Valentine cards to my students. Students cut the cards out carefully, colour them and write some greetings inside the cards. They can give it to their friends or sweethearts. Hope you like it.